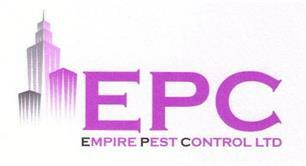 Empire Pest Control Ltd - Pest/Vermin Control based in Billericay, Essex. Empire Pest Control Ltd, is one of the leading Pest Control companies in London, Essex, Hertfordshire, Kent, Surrey, and Middlesex. We specialise in domestic and commercial Pest Control and have years of experience in dealing with all types of pest problems. We offer control needs and tailored solutions across a diverse range of sectors including, but not limited to: food production, food retail, logistics and transportation, commercial, leisure, industrial and high street retail. We offer a fast, reliable and professional service at affordable prices. We have a 2 hour response time, 24 hours a day, and 7 days a week. We are qualified to use the latest insecticides, rodenticides and other treatments to ensure you get rid of problem pests and vermin in compliance with the regulations. We can also give advice on how to prevent re-infestations.